We get this question a lot from clients; should I buy more domains for my small business? 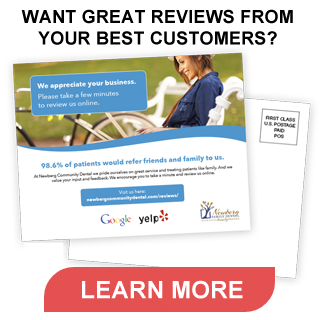 If I buy CosmeticDentistMyTown.com and WindowReplacementInMyTown.com and a few others will that help me get more new customers or patients? We’ve seen some interesting, complex multiple domain marketing strategies over the years, but very few that actually move the search marketing needle. Registering a domain does not do anything to help you attract more website visitors unless you actually take the time and effort to build a website on that domain with unique, quality content that is relevant to a specific audience. Most small businesses find it hard enough to regularly add useful, authentic content to their primary business website, let alone to several sites! The Internet is all about links. You want your business website to be the “hub” of your online marketing and promotion efforts. It should be linked to and from all social media profiles for your business. The more you link to relevant content (both on and off your site) the more you are signaling search engines about the nature and authority of your website. Having multiple websites only makes it more difficult to get others to link to and increase its authority. If all you do is register keyword-based domain names and redirect them to your main business website you probably won’t see any search marketing benefit. You can gain the same value from using keywords within the URLs of pages and blog posts on your main business website. For example a landing page on a separate domain like BestSeattleHousePainter.com has no more SEO value than the URL JoePainter.com/best-seattle-house-painter/ …. the quality and relevance of the content on the page will be far more valuable than spending time working on content spread across several domains. Registering other TLDs that match your primary .com domain makes sense. These days there are so many extensions that business owneers may have trouble deciding which ones matter. Generally you want to use .com for your website and redirect the others to it. Try to register the .net, .org, and .biz versions of your domain name at least. Others such as .info, .me., .mobi, etc. will have less value. If your goal is simply to keep competitors from registering geo-targeted keyword-based domain names (i.e. LawerInMyTown.com) that may be a good strategy; again you would probably want to use 301 permanent or 302 temporary redirects to your main business website. If you change your domain name you do want to continue renewing the old domain and putting 301 permanent redirect(s) in place to your new domain. You also want to file a change of address with Google Webmaster Tools. The same is true if you purchased a business and want to rename it with a new brand and new domain name. Remember that the longer a domain name has been registered and populated with quality, relevant content the more domain authority it will tend to have. On the other hand when you register a new domain for the first time it has no latent value or authority and will take months or even years to gain much authority with search engines.